When it comes to building, the soundness and longevity of your structure will be severely compromised if you don’t construct the right foundation. As you know this is true of most things in life, you do want a strong foundation before you start to build on it. So it is a wonder that some folks overlook smart site preparation and try to cut corners. Don’t be one of them! Correct site preparation will help ensure you enjoy the delights of your shed, garage, kennel or outdoor living structure, for many years, without issues of settling or poor appearance. 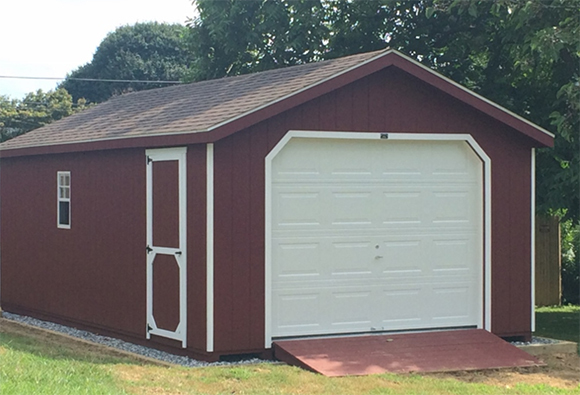 Additionally a properly prepared site means your beautiful structure will require minimal maintenance during its long life and leave you free to enjoy the pleasure of its use without repair and labor costs. A reputable building company will give you detailed advice on all aspects of site preparation. These needs may be met in a ‘one stop shop’ by the shed or garage company. This saves a lot of headaches for you as these companies can coordinate the site preparation schedules with the delivery timeline, they talk the same language as the contractors and it’ll save you a lot of time searching for the right contractor for the job. 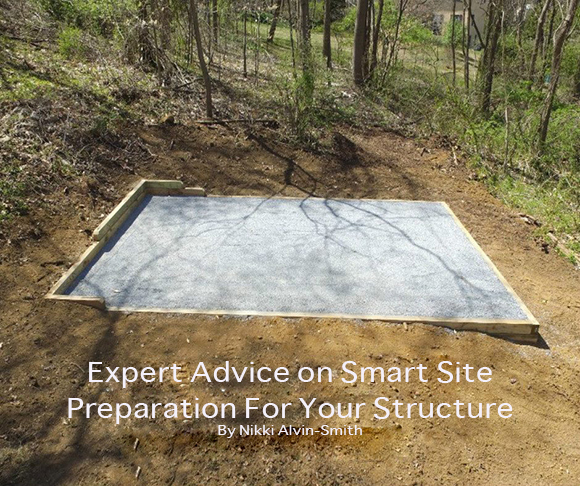 We spoke with Jonathan Zook, Project and General Manager at Stoltzfus Structures, based in Atglen, PA, to gather some expert advice on smart site preparation for your structure. “Obviously it is imperative that the site is level. And by that I mean it can’t be full of lumps and bumps or be uneven. Whether you opt for a stone base or the more expensive concrete option the size of the pad should exceed the size of the structure by at least 12 inches. This is to keep water from the roof away from the structure and it will keep your structure in optimal appearance as water won’t fall from the roof and cause unsightly splash marks of dirt on the siding or undermine the pad,” explained Zook. The Stoltzfus Structures’ team is justifiably proud of their high quality modular structures and their stellar reputation for ease and efficiency of delivery and set up of their Amish crafted structures nationwide. For over 43 years, this family business has provided modular structures for a myriad of projects both residential and commercial, including government contract projects. Developed by Gideon Zook, Jonathan Zook’s father in 1975, the business grew year by year, and today is run by Gideon, together with four of his sons, Dave, Jonathan, Matthew and Mark. I can attest to the importance of this fact. A friend had a small barn and determined that the best way to eliminate the woodchucks that had taken up residence underneath the dirt floors of her polebarn, was to utilize smoke bombs she had purchased from the hardware store for the purpose. She followed the instructions for placement and lit the smoke bombs at the end of the various tunnel runs she could find. A few hours later, her barn was on fire. No-one was hurt and the Fire Chief explained this wasn’t the first time his Fire Department had been called out to a structure where the owner had attempted to oust their woodchuck or rabbit population who had taken up residence under the floors utilizing smoke bombs. When my friend took the effort to have the site properly leveled with a skid loader and a gravel base installed with her modular barn replacement, the woodchucks did not return. A similar issue that can cause you supreme annoyance and can become very unsightly, is the growth of weeds underneath and around your structure. If you add a weed barrier, preferably a high quality version made of non-woven polypropylene fibers under your stone base, it will not only improve filtration and add drainage but also stabilize the site and provide erosion control. Jonathan Zook offered these suggestions to help you make the smart site preparation choice for your modular building. * Expect your building to settle after it is placed on your site. Provision of a properly prepared site to the manufacturer’s guidelines will help eliminate any issues with the ‘settling’ period. * Don’t use cinder blocks as a base to set the structure upon. Not only will this increase the risk of settling, it will also make setting the structure on site very difficult. * Do use pressure treated lumber with rebar stakes to ensure stability. Lumber needs to be large enough for the structure’s weight so ask what size. * When you opt for a concrete pad, ensure the pad is the exact size of the building to avoid issues with water drainage. * A good building company, whether offering a modular or on-site build will provide you with drawings and instructions, showing placement of , J-bolts, tie-down anchors or pillar locations etc. Always check with local ordinances and find out in advance what permitting is required and what building code ordinances need to be followed.While I do not have the experience in building that the Stoltzfus Structures team has accumulated, in my lifetime I have personally pulled my share of concrete, wielded a nail gun or two and know how to use a laser level to estimate cut and fill requirements and hence costs of materials. Together my husband and myself have built over half a dozen horse barns. Of course the first horse barn was the simplest design and we did get better at it all as we went. That first shed roof structure was a pole building, set in a field on the side of the hill. Little did we realize when we came to divide the space into stalls and dig out the floors to level later, the issues we would face. It was a nightmare. We had to rent a rock drill, work the entire space with shovels by hand resulting in carpel tunnel syndrome in my wrists as it took days. Then of course the water came in so we had to backfill, and install French drainage ditches all around. Again all work done by hand. False economy on a massive scale! So my advice is choose your site carefully and be aware that the more gradient you have to level the more equipment time and material cost will be involved. It is far easier to level, compact materials, add materials or pour concrete before you add the structure. I wish I’d known the Zook family then. I would have simply picked up the phone, dialed (610) 595-4724 and asked for their advice and purchased a modular design from their vast collection of structures. With their eye for detail and myriad of building styles, I probably wouldn’t have needed to add a custom design. 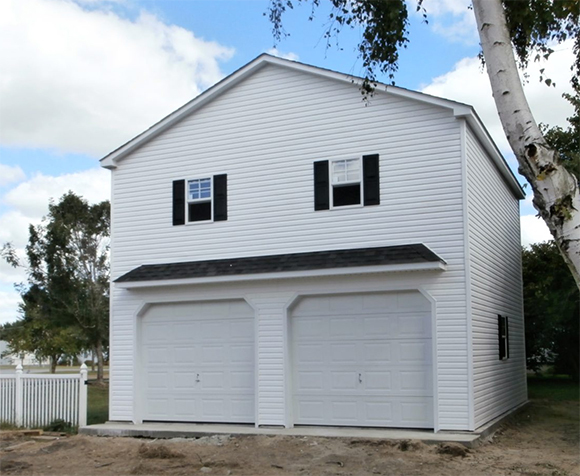 Customization is a nice option that is definitely very useful if you want to create a property where each structure complements the style, color and design of your home or other buildings already constructed.